The Charter of the Forest is issued in England. It is a complement to the Magna Carta, which was first issued in 1215. The Magna Carta, also known as the Charter of Liberties, guaranteed that England would be governed according to the customs of feudal law, rather than arbitrarily by the King. The Charter of the Forest specifically addresssd grievances related to forest law. After the Norman Conquest, legislation had been introduced which forbad common or agricultural use of all land designated to be royal hunting reserves; included was much land traditionally used for farming or common use. Violators of the law were subject to severe penalties, including mutilation and death. Increasing resentment of, and resistance to, the forest laws leads the Crown to agree to the Charter of the Forest, which limits the amount of land designated as royal forest, and allows common access to the rest. Abraham Lincoln wins the U.S. Presidential election. The first Republican President, he wins entirely on the strength of his support in the North: in ten Southern States, his name does not even appear on the ballot. The Southern States do not even wait for Lincoln to take office; unwilling to remain in a country presided over by a President who loathes slavery, they immediately prepare to secede. South Carolina’s two senators resign from the U.S. Senate four days after the election, and the South Carolina legislature calls a convention to secede from the U.S. Other slave states follow: by the time Lincoln is inaugurated in March 1861, South Carolina, Florida, Mississippi, Alabama, Georgia, Louisiana, and Texas have all declared their secession and proclaimed themselves the “Confederate States of America”. 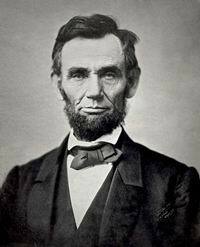 Lincoln refuses to accept the legality of secession, and Civil War becomes inevitable. 2500 ethnic Indian residents of South Africa, led by Mohandas Gandhi, march to assert their rights.